The X camera has always been Nikon's whale hunter, not a solution for PJ's or sports shooters. The D3 and D4 provide more than enough file size, quality and speed to allow them to do their jobs on the kinds of deadlines demanded of them. 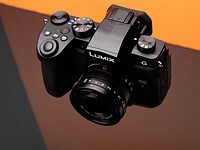 I'll bet the D4x will be more than 36MP and Nikon will continue going after the medium format commercial market.